Barbie Diaries New Cover!!!! 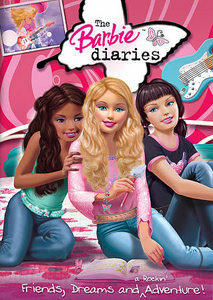 (Edit DVD Cover). . Wallpaper and background images in the Sinema za Barbie club. Barbie Diares. One of my favorite movies! I don't see that big difference. Oh my blinkin' goodness, Cou's face is horrible.